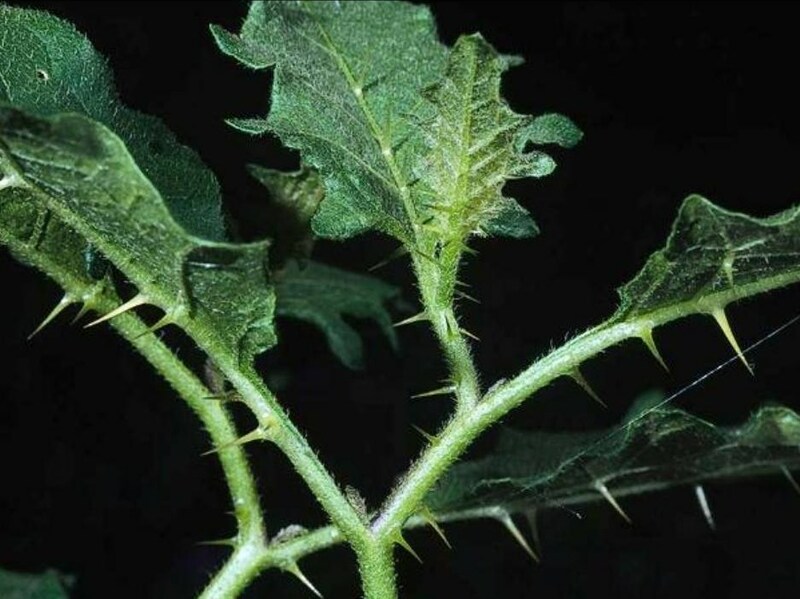 Solanum carolinense (Carolina horsenettle) is a perennial herb/ (family Solanaceae) with white to purple flowers and lobed leaves found in the Sierra Nevada range, Central Valley, south coast ranges and northern ranges of California. It is native to the central and eastern United States and northern Mexico. It favors grasslands and dunes. It spreads via seeds and roots. Fruits and seeds are dispersed by agricultural activities, water, soil movement and animals.